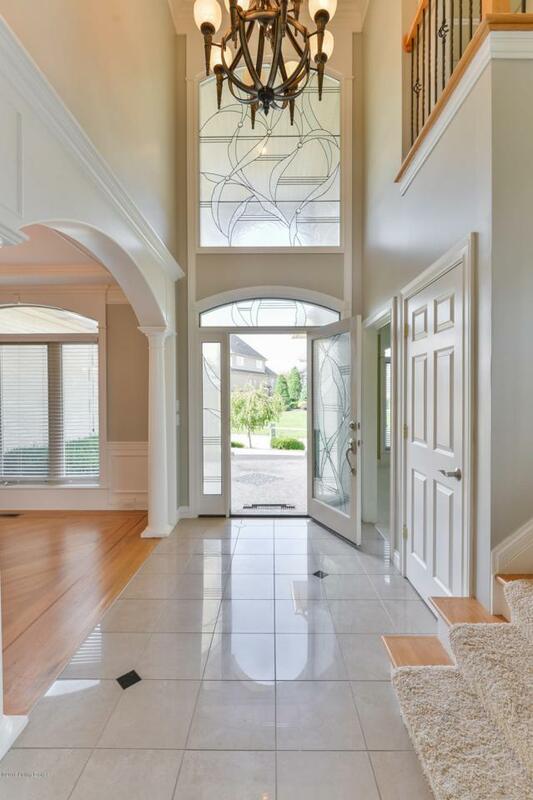 This impressive Jim French built two story is open, airy, and features a gourmet kitchen great for entertaining those Derby parties. Custom cabinets, granite countertops, stainless steel appliances, custom hood and a large center island with breakfast bar area a few features of this home. There is a door from the breakfast area that leads out to the covered patio. The first floor master has a spa like master bath and has access to the covered patio area. The two story great room has a large palladium window, gas fireplace, molding, custom built-ins, hardwood floors, plus access to large deck. The formal dining room has beautiful hardwood floors, wainscoting, and tray ceilings. The first floor study and living room has a half bath attached. The second floor features more custom built-ins,a common area great as a family room or study, plus a large balcony. There are three large bedrooms, one with an en-suite bathroom, and jack & jill bath for the other two. 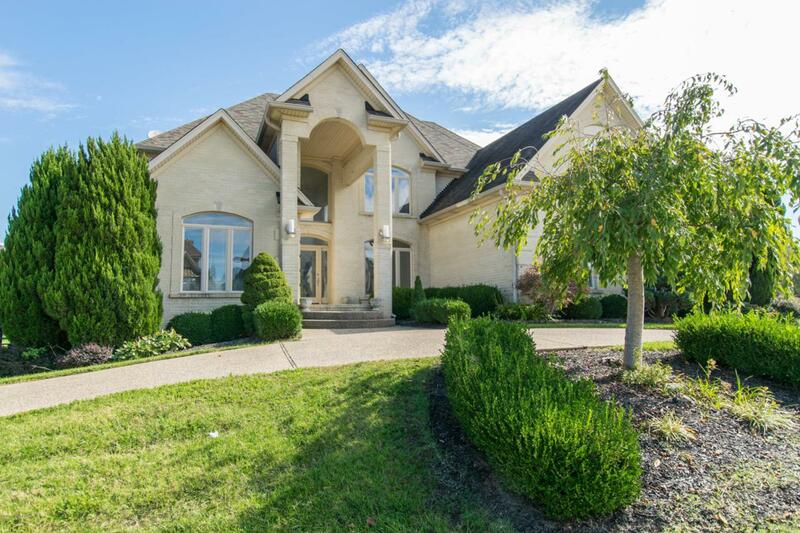 The walkout lower level has a 5th bedroom and full bath. The lower level also has an exercise room, recreation room, and family room. Call to schedule your private showing today!